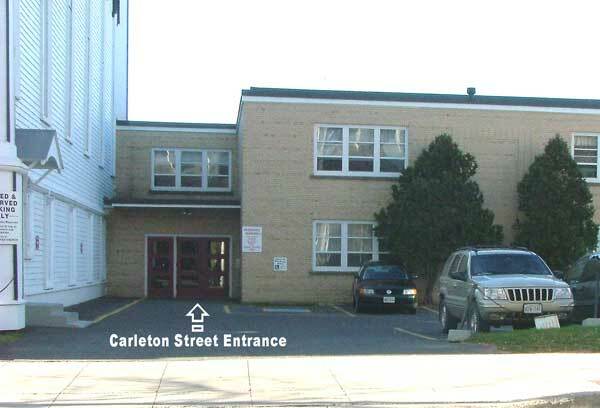 Wheelchair access to Wilmot United Church is provided at the Carleton Street entrance, off the main parking lot. In 1997, a lift was installed in the Dr. George M. Young Memorial Hall to provide wheelchair access to the second floor of the hall and to the sanctuary level of the Church. The lift is designed to carry two persons and a wheelchair. In the parking area adjacent to the Dr. G M Young Memorial Hall, one permanent handicapped parking space is designated, and up to three more can be marked for Sunday and other use as required. In the course of preparing a shaft for the elevator, there were extensive renovations of the main men's and women's washrooms in the hall, providing new entrances, some new fixtures, and making the washrooms accessible. The lift was intended to replace the obsolete chair lift at the Carleton Street (main) entrance to the sanctuary. Before being able to use this original lift, which had been in place for several decades, a person still had to climb several steps. This original lift did not pass a required inspection in 2004 and was taken out of service. 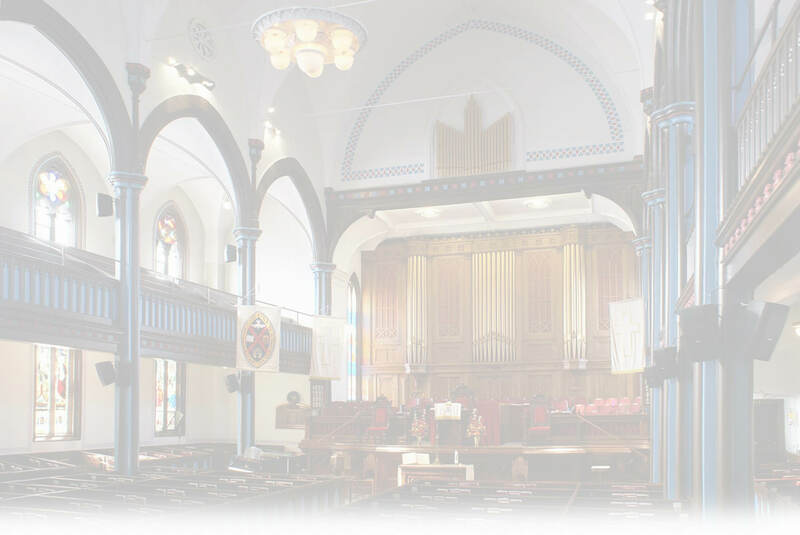 Two wheelchairs were donated for use at the church, and a pew was removed toward the front of the King Street side of the sanctuary to provide space for a person using a wheelchair and for others accompanying that person.